The book ‘Inanna Returns’ is not just about the history of family of Anu and the colonization of planet Earth. 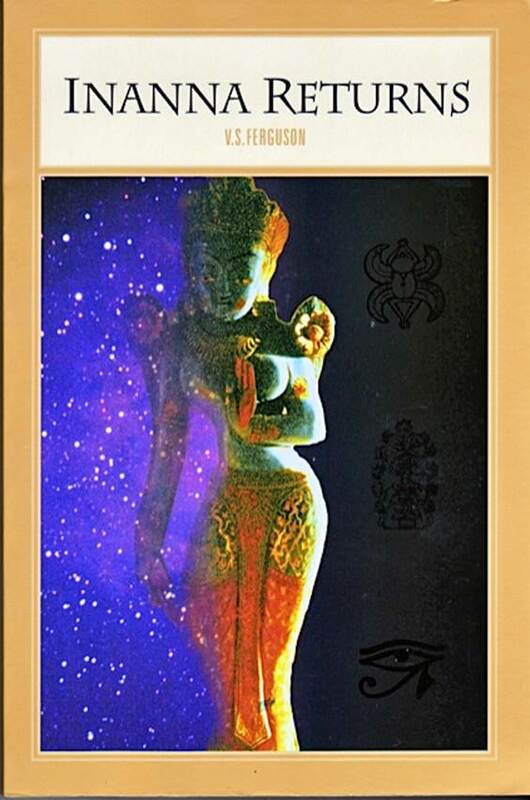 Written in 1995, the book is primarily about Inanna’s own journey to enlightenment and her attempt to help her beloved human race by incarnating in Time & Space through her multidimensional selves. Like all of us, Inanna had passed through the painful process of realizing that getting everything she wanted wasn’t what she thought it would be. Defeated in war by adversary members of her family, alone and miserable, Inanna sought answers and turned to the eternal wisdom of a lady shaman. Inanna’s enlightenment leads her to understand that the ‘darkside’ of her family was their own creation. Essentially Inanna, as I know her, achieves Wisdom through the realization that everything and everyone are but One, the Oneness. In a polarity universe, negative reptilian energies exist in us all everywhere and are a necessary part of creation, just as each atom is made up of positive and negative charges of energy. In 1995 when I wrote Inanna Returns, I could have never foreseen the endless distortions and absurd claims made by all the conspiracy folk and the fundamentalists regarding Inanna and the Reptilians. The darkside energies reside along with the light in all of us. Projecting our inherent negative tendencies such as greed, fear, and envy onto others will not make us the master of our own nature. In every moment we each make our own choice which path to follow. Throughout our lives we are individually confronted with the decision either to follow the path of temporal external power — or the path to Union with the Eternal, connected to the God-within. The way to conquer fear and defeat the evil reptilian-brain negative forces is by merging our consciousness back into Union with the One. True and lasting victory will come with self-mastery as we defeat our own personal demons through Enlightenment in God-Consciousness and the liberating power of imperishable Wisdom Knowledge. Real power is the consequence of Becoming the One. In 1988-89 I read the Sitchin books. Many of my friends were also reading Sitchin and most were complaining, struggling with the characters, and Sitchin's style of laying out endless often seemingly unrelated facts. But for me it was as if I was reading the story of my own family. I felt as if I personally knew the family of Anu - Ninhursag, Enki, Enlil, and the others. I began explaining their relationships to my friends who were a bit bewildered by my grok. I am not a scholar. Then the visions began. As I continued to read Sitchin, I felt as if I were in Inanna's body watching the entire colonization, hybridization, radiation wars, etc. process. The visions were quite intense, incredibly amazing - but I was completely comfortable with the experience and never felt unbalanced or frightened. In fact I felt great. I felt as she must feel - totally self-confident, self-assured, and loved beyond anything I had ever felt as female human Susan. One day a good friend was visiting my home, and we were talking about Sitchin’s work. I said to her, "Did you ever feel that you were Inanna?" She replied, "Her? No way! If I identified with anyone it would be Ninhursag." At that moment something strange occurred. The two wall lights on either side of the fireplace mysteriously began to light up, growing stronger and then dimming again and again. This happened in broad daylight - the lights were not turned on. My friend said, "Do they do that?" Then we both laughed. But after that, something shifted. I understood - and the visions of Inanna and her family continued for me for about 6 months. A full color film was going on in the "Eye of my Mind" and frankly I was enjoying the experience. This never interfered with my everyday ordinary life or unbalanced me. I would be fine in the supermarket or bank line while simultaneously watching Inanna’s family history. However over time, slowly, I began to change. Inanna's confidence began to permeate me and I noticed that my behavior to people became a bit imperious. I felt that I had the right to 'direct' them — and worse, they liked it and responded. This just wasn't me - and even though I was happy feeling Inanna’s abundance of confidence, I felt I had to give it up. Where would these feelings lead? So I shut the visions down, which wasn't so difficult and went on with my life. By 1995 my life had changed. During an intense period of meditating, Inanna again appeared to me and asked me to write her story as I had 'seen' it in the visions. Inanna must have known that her enemies and cousin Marduk, via the conspiracy folk and the fundamentalists were going to vilify her and turn her into a bloodthirsty reptilian shrew. I had never considered myself to be a writer and wasn't at all sure of my abilities. I struck a sort of deal with her. I told her that I didn't want to be famous or become a 'channel' as I had seen what often happens to channels. I only wanted my own enlightenment. Within 6 months the first book 'Inanna Returns' had written itself. The experience for me was more like automatic writing. Once again the visions returned as I wrote out what I saw in the ‘film’ in my mind. Inanna (which she pronounces to me as In-Yanna) directed me to write the book in very short sentences as if I were writing for a 12 year old. I never wrote 'Inanna Returns' to try to please anyone — and it never occurred to me that Sitchin would ever even read it! But in 1996 a friend telephone me and said that Sitchin wanted me to be a part of his presentation of writers who had been influenced by his work. The lectures were to be published in a book entitled "Of Heaven and Earth" by the Book Tree. The term used was 'proceedings' and I didn't even know what that meant! The others were all scholars. I was the only intuitive visionary. The gathering was booked at a conference center in Denver, and I was included in printed schedule announcements. However, Sitchin must not have read my book closely. There were some differences in his story, which came from his reading and translation of the cuneiform tablets - and mine, which came from my visions. In my visions Inanna has a very important and deep relationship with Ninhursag. In fact Inanna often told me that she felt more aligned with Ninhursag than she did her own mother. At some point Sitchin realized this discrepancy and telephoned me quite angry. Others had noted him for being a bit of a grumpy scholar curmudgeon. He asked me where I had gotten the idea that Inanna was closer to Ninhursag than to her own mother. Totally upset and disheartened, I blurted the truth at least for me, "In my visions." His words still sting: "I am not interested in your channeling!" Born in Azerbaijan, Sitchin had an Israeli eastern-european type accent and it is impossible to convey the anger and derision in his voice. I was so upset. I didn't know what to say or do. Being a practical gal, I said, "Tell me what you want me to do." And he instructed me not to say anything at the event that would contradict his scholarship in any way. That I could do. I altered my lecture, out of respect for him. Of course, I could not shake his knife-like words and was very hurt. I hadn't meant to challenge him. I had never even thought he would read my book, and now it seemed obvious that he had not - at least not thoroughly. Mulling all this over in my heart and mind, I said to Inanna, "So who is Sitchin?" Her answer is the reason I have explained everything thus far. Inanna said in the most off-hand casual manner, as if it mattered not at all to her, "Oh, you mean that old Babylonian astrologer." In ancient times, all astrologers where also astronomers; there was no separation. From her reaction, I understood that Sitchin had been an astrologer back in her era, and that she had taken little notice of him as he would not have travelled in her elite circles. I was naturally taken aback by her response, but it did explain why Sitchin had access to his translation version of the cuneiform tablets and why he refused to 'see' them in any other way. He had the past life memory of the family stored in his DNA. I supposed it was his destiny to reveal his memories. Now Sitchin was adamant about his sticking to his scholarship. He was a man who wanted the acceptance of his peers. He claimed that many other cuneiform scholars came forward and admitted privately to him that Sitchin was correct, but said they would lose their jobs if they publicly agreed with him. However strangely enough, as if to add insult to my injury, at that same 'proceedings' event in Denver, Sitchin admitted something highly unscholarly and bizarre. I know because I was there sitting in the audience. He stated publicly in his speech that the word Nirbiru had haunted him. What was Nibiru? He could not find the answer. One night he had a dream and in the dream he was told that Nibiru was a planet! Sitting in the audience, perhaps I was the only one who was completely astonished to hear Sitchin admit that he had 'channeled' the meaning of the word Nibiru in a dream! The blatant fact that his channeling was fine - while mine was to be obliterated was not lost on me. I stayed clear of Sitchin after that. Until years later I ran into him in the Metropolitan Museum NYC in the Assyrian room. After I gave up on my tiny publishing business, I had moved back to NYC, my adult home for 20+ years. I said hello to Sitchin and he was apparently delighted to see me and invited me to come to a presentation he was giving at the museum in Philadelphia. He said the cuneiform department was honoring him and it would be wonderful if I could attend and have the opportunity to see all the artifacts in that museum. I did end up going. Sitchin was very friendly to me. I always felt that he had a bit of a crush on Inanna. She was quite something! 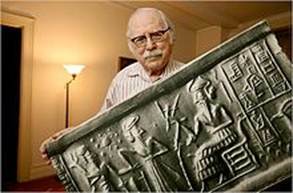 Sitchin sold millions of books and was translated into 20+ languages. Whatever mistakes he may have made, he struck a chord in millions of people around the planet. I was not the only one who had visions of the colonization of planet earth while reading Sitchin's books. I met many others who had similar experiences when I travelled and lectured. Once in Santa Fe, I was telling the story of the Flood and how Inanna was heartbroken seeing her priestesses drown. When I looked up, half the women in the audience were in tears. They had loved her. Like so many gifted men, Sitchin was an egotist. He wanted recognition, he needed to sell his books in order to live (in NYC), and he was human with all that goes along with that. But he was not a bad man. He was not a 'tool' of the Reptilian mind control. He was a scholar. I believe that in his last years he reverted to his childhood faith, as many people do. I often reflect on how strange it is that the one moment Sitchin chose to trust his own intuition, his dream, and define Nibiru as a planet turned into the biggest 'Meme' of his entire work. I believe he was horrified to see what people have made of this. Even today if you google Nibiru, you get over 10 million links! I still respect him. Whatever mistakes he made, Sitchin awakened our memory to the fact that planet Earth is and was merely yet another colony in a universe filled with 300 billion galaxies. Another aspect of the accuracy of Sitchin's translations is very subtle. For the last 4+ years I have been teaching myself Sanskrit. I am still a beginner, but from my research I do clearly understand that the Sanskrit of the Rig Veda is not the Sanskrit of the later texts, for example the Mahabharata (which contains the Bhagavad Gita), the Upanishads, and others. The variances in translations of the Rig Veda verses are stunning! I honestly don't feel that anyone has as yet been able to accurately translate the Rig. The Cycles of Time play a big part in understanding this. The Mahabharata is said to have taken place around 3100 BC, at the end of the Dvapara Yuga. For me this epic offers a window back into time and gives us a glimpse of what the world might have been before the Kali Yuga. An interesting episode in the Vana Parva, or the Book of the Forest, reveals a tantalizing clue concerning the variations in material manifestations that occur as our consciousness moves through Time from Yuga to Yuga. One of the Pandava brothers, big strong Bhima, meets the great monkey-hero Hanuman from the days of the other great Sanskrit epic, The Ramayana. The Ramayana takes place in the Yuga previous to the Dvapara, the Treta Yuga. In the Ramayana, the hero Rama, an incarnation of the deity Vishnu, engages an entire army of monkey-men (shades of Planet of the Apes) to fight off Ravana, the Rakshasa demon king who has abducted Rama’s precious and pure wife Sita. The high-souled monkey chief Hanuman becomes the greatest devotee and friend to Rama. Bhima is deeply honored to meet the heroic Hanuman. ‘None is more fortunate than me ...’ (translation M.N. Dutt). He asks Hanuman to reveal the form he assumed long ago when he leapt across the ocean to find the lovely bereft kidnapped Sita, who was bravely fighting off the demon king Ravana’s repulsive advances. Hanuman smiles at Bhima and explains to him that because the Treta Yuga has passed, no one can see him as he was in that time. Hanuman no longer possesses that form in this moment of their meeting, a time of deterioration and diminution. Everything in the world is affected by the passage of Time and as the frequencies change, so does the ‘strength, size, and capacity’ (van Buitenen - 3.148.5) of everything - including the natural world, the rivers, trees, and mountains. The world and we humans are smaller in every respect, consciousness, substance, integrity, and physical size. ‘The Siddhas, the celestials (gods), the great Rishis (seers), all conform to Time, as it comes to be in the different Yugas’ (M.N.Dutt - Vol.2, Ch.149). Even the great hero Hanuman is susceptible to the immutable alteration in the frequencies of Time as they affect consciousness and thus the visible world. Later Hanuman relents and does show Bhima his ability to assume ‘a gigantic body’ the size of a mountain. The monkey-hero ‘pervaded space’ (van Buitenen) It is because Bhima is sinless that he can see Hanuman’s expanded form and although Hanuman says he could grow even larger, he warns Bhima that he can only stand to see this much. So from this we might understand that we have in fact lost the ability to understand the ancient texts. This certainly seems a real possibility in the case of the Rig Veda. I find definitions of Sanskrit words that point to ancient astronauts, while other translators stick to accepted religious dogma. I would imagine that if I lived in India, I would be a bit reticent about my translations. More than one researcher has suggested that the truth about the Indus civilization is being hindered intentionally - much like Egypt. Again we see they don't want us to know that we are a genetic experiment on one small lovely colonized planet in a universe of 300 billion galaxies. The point here is that because of Sitchin's past life memory as an astrologer/astronomer in ancient Babylon during the reign of the family of Anu, perhaps he did have some real link to the meaning of the words in the cuneiform tablets. Maybe he had the 'ears to hear and the eyes to see'! While the current scholars who are ripping him, do not. Sitchin’s Wiki bio says that he was born in the then Azerbaijan SSR of the Soviet Union, but was raised in Mandatory Palestine. He received a degree in economics from the University of London, and was an editor and journalist in Israel, before moving to New York in 1952. While working as an executive for a shipping company, he taught himself Sumerian cuneiform and visited several archaeological sites. Thus he was self-taught, at least in the Sumerian cuneiform. I cannot know this for certain, especially about the cuneiform tablets, Sumerian and Akkadian. I only know what I have experienced in my journey into the Rig Veda Sanskrit. And often while struggling to unlock a verse, I feel I am being given meanings, that an understanding of a verse is being revealed to me. And as I have suggested, it may be that in our present bodily form we are incapable of understanding these ancient writings.